Small is beautiful! The Quartz ‘one touch’ is a compact and efficient capsule machine which is ideal for smaller offices where demand for beverages may be low or intermittent. With a small footprint, this machine will fit unobtrusively into most environments and deliver excellent beverages on demand 24/7. Coffee connoisseurs will appreciate the use of fresh milk as it really boosts the quality of the finished drink to barista standard. The milk is stored in the adjacent fridge area which can accommodate most popular milk cartons for ease of use. 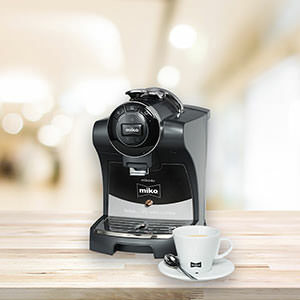 Other key features include a pre-infusion chamber which ensures that optimum taste and a tantalising just brewed aroma are delivered with every cup; an auto milk frothing system with independent steam wand creates beautifully foamed milk at the touch of a button; a choice of mains fed or manual fill 1.9 ltr water tank; advanced PID technology guarantees precision temperature control at all times and allows a different temperature to be pre-set for each menu item. 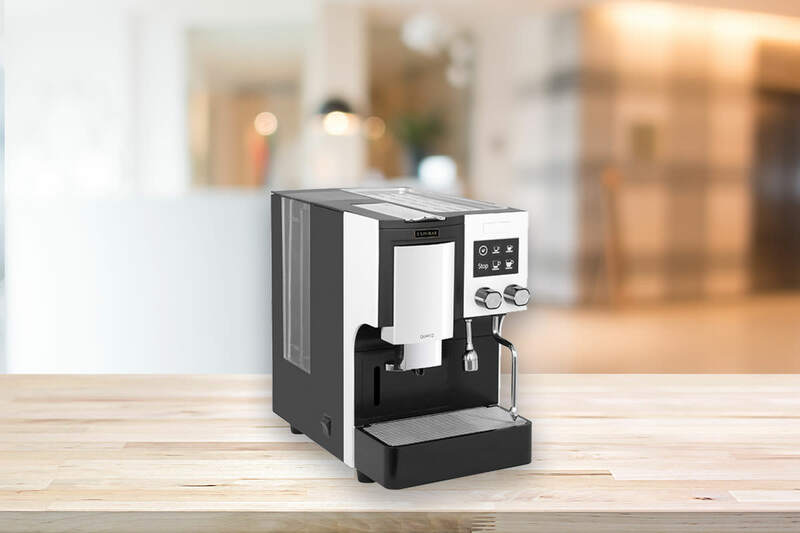 Simple push button operation and easy to maintain, with great tasting beverages guaranteed, the Quartz Capsule is the perfect choice for any small business. 1 more coffee capsule machine available. 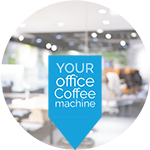 Excited to see how the Quartz coffee capsule machine looks and performs in your office? So we are, let's organise a demo.